Mary Rigby Gould with daughter Emma Gould. This photo is one of my favorites, perhaps because it’s the only one I have of these two ladies. The back is labeled “mother’s mother and grandmother (of beatrice gould felver)”, which makes the little girl Emma Gould (1861-1895) and the woman Mary Rigby Gould (1831-1903). The photo was taken in Brooklyn, NY. The Gould family immigrated from England when Emma was 3 years old. Keeping in mind that Mary was 30 years old when Emma was born, this woman is likely less than 40 years old in the photo. I’m not an expert judge of old photographs nor age ranges, but Emma definitely looks like a child, not pre-teen. 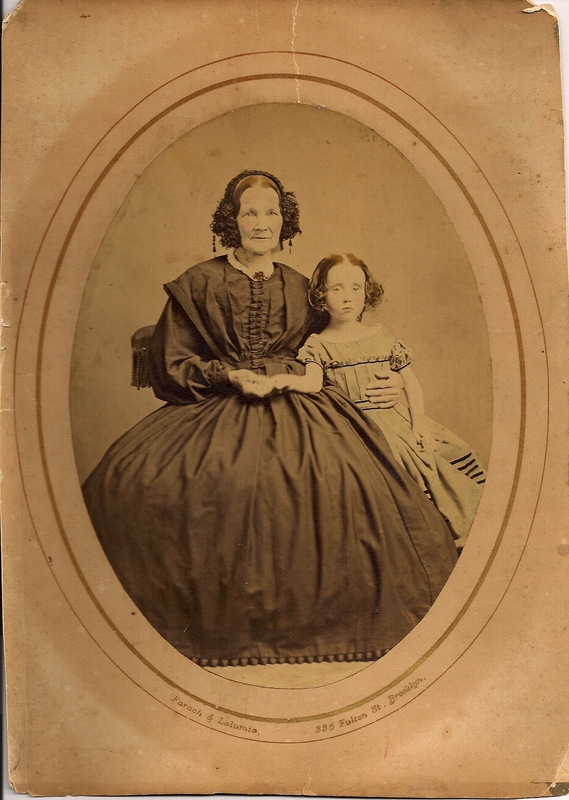 Had this photo not been labeled, I would have easily assumed that this photo showed a woman with her granddaughter not a daughter.